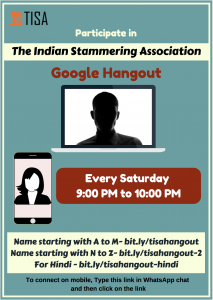 Join TISA Hangout – Every Saturday from 9 PM to 10 PM IST. Eg. Bhupendra will join link 1. Eg. Satyajit will join link 2. For any queries regarding hangout, kindly contact Mr Satyajit on +919401814904.